Customers are always wondering what is the best way to clean their carpets. Not only are they wanting the best clean they are also wanting the best price. 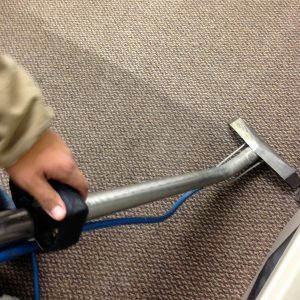 Beyer Carpet Cleaning uses steam to clean customer homes and find this method to be the most effective. Steam Cleaning uses hot water usually 200 degrees or hotter to sanitize and clean carpets. Steam can reach well below the surface of the fibers in your carpet to remove all thee dirt, allergens, and the root of stains. Steam cleaning will leave your carpets damp for hours but will effectively clean your carpets. Chemical Cleaning uses various chemicals to be sprayed on carpets. These chemicals can clean the surface of your carpet but cannot reach as deep as steam. It dries faster then steam and will give you a positive result in most cases. In few cases the chemicals can damage carpet. Cost: Steam Cleaning with Beyer Carpet Cleaning can cost you any where from $139 on the high side to $49 on the low side. Price varies with the number of rooms you need cleaned. Beyer Carpet Cleaning tries not to knock their customers over the head with price. As with chemical cleaning it can get pretty expensive because of the cost of chemicals. Prices can range as high as $350 to $400 depending on the number of rooms. At Beyer Carpet Cleaning they believe that cost and the effectiveness of steam cleaning is worth the dry time. On average most carpets will dry within 5-6 hours. They also offer quick dry which cuts the drying time in half. Beyer Carpet Cleaning only wants to provide the best carpet cleaning and the best prices to their customers. Steam cleaning is what they do and what they do well. There are many choices out their but Beyer believes steam cleaning is the best way. 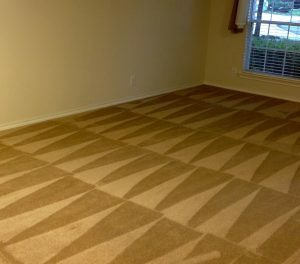 They do not leave carpets wet only damp so bacteria, mold, and mildew won’t grow. Beyer Carpet Cleaning is careful with steam cleaning so you only get the best every time.